Vigo Amaro by Philadelphia Distilling. Philadelphia Distilling, the company best known for Bluecoat Gin, has released its own amaro, an herbal liqueur that can be sipped as an after-dinner digestif or added to cocktails. 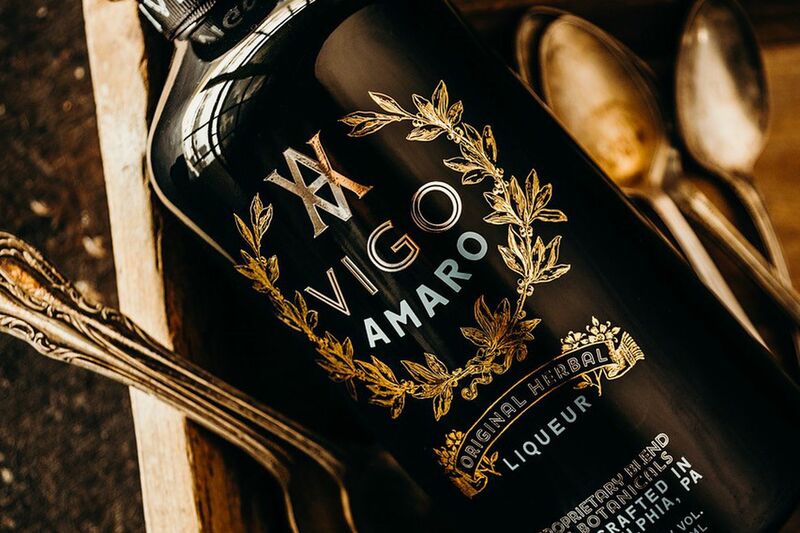 Vigo Amaro is Philadelphia Distilling’s first new product in almost a year, and its first foray into the world of amaro, an Italian digestif that can taste bitter, sweet, or even minty, depending on its ingredients. Made from botanicals, amaros are known for their stomach-settling qualities, but their flavors can also blend with everything from prosecco to Campari to club soda. Philadelphia Distilling’s version is made with California dried plums, nutmeg, rose, elderflower, cinnamon, cinchona bark, kola nuts and muscavado sugar. It has smooth flavors of dark fruit, a rich molasses sweetness and a savory edge. “Our purpose was to deliver depth of flavor: well-rounded and yet with enough earthy roots to ground your taste buds," head distiller Aaron Selya said in a statement. Vigo Amaro sells for $31.99 and is available at Philadelphia Distilling’s bottle shop at 25 E. Allen St. in Fishtown. The company is also offering several cocktails made with the amaro on the drink menu in its tasting room.